MARLBOROUGH, MA and MAIDENHEAD, UK--(Marketwire - February 8, 2010) - Camiant Inc., the leading provider of policy control and application assurance technology, today announced that Camiant Founder and CTO Susie Kim Riley will be both moderating a panel and speaking at this year's Mobile World Congress "Network Breaking Point!" session being held Wednesday, February 17, 2010. Riley will be moderating a panel with executives from Verizon Wireless, Telefonica and Yoigo on the use of policy control technologies to address the global wireless industry's conundrum of rising data demand and the severe contention for bandwidth. In addition, Riley joins industry veterans from leading companies including Cisco and Acme Packet to discuss the use of policy control and deep packet inspection technologies to address mobile internet challenges. 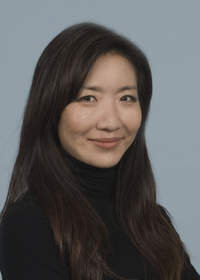 "Operators that have been advancing the capabilities of wireless broadband by moving to newer and faster networks have embraced policy control as the central 'decision making' component of their next-generation networks," said Susie Kim Riley, Camiant Founder and CTO. "At the same time, gateways in the network have become capable of performing deep packet inspection, and 'enforcing' those decisions that are made by the policy platform. Now, operators are exploring ways to use policy control, in combination with the various gateways in the network that are capable of deep packet inspection, to take mobile internet service to the next level." The panels will consider and provide answers to questions about how policy control and DPI work together; what benefits they provide operators; and how operators can apply policy and DPI in concert to maximize their investment to balance the soaring demand for services with the realities of network capacity. To schedule a media or analyst briefing at Mobile World Congress or for further inquiries, please contact Ilona Mohacsi at (631) 764-3729, or via e-mail at ilona@abelsongroup.com. Camiant's policy control solution, compliant with 3GPP*'s Release 8 and Release 9 Policy and Charging Rules Function (PCRF) specifications, empowers broadband service providers to dynamically manage their networks, ensuring efficient and high quality delivery of broadband data services, IP based communication services and rich media content. Network operators worldwide leverage Camiant's vendor independence and policy expertise to deliver high value applications and services while containing capital and operational costs associated with the growing demands of a broadband infrastructure. Camiant's market-leading Multimedia Policy Engine is the policy control solution of choice for over 30 fixed and mobile broadband operators worldwide including Comcast, Cox Communications, Sprint and Vodafone. For more information, visit http://www.camiant.com or follow the company on http://twitter.com/camiant.